The Swedish Karolinska Institutet (KI) is going through turbulent times. The Paolo Macchiarini scandal sensitised the European elite biomedical research centre and home of the Nobel Prize not just to patient abuse, but also to research misconduct and data manipulations, which its past professor Macchiarini was found guilty of. The misconduct and patient abuse investigations are ongoing. In parallel, several non-clinical KI professors were or still are under KI investigation, because of PubPeer evidence against their publications, as I reported before on my site. Two of them, as I wrote in a separate article, were the autophagy researcher Helin Vakifahmetoglu-Norberg and her former PhD supervisor, the apoptosis specialist Boris Zhivotovsky. Both are now finally and irrevocably acquitted by KI of all suspicions of data manipulations in their common publications. The case is closed, there will be no external investigation. But because that Harvard paper was for some reason none of KI’s business, KI did not ask their assistant professor to show original data for BOTH papers. And regardless of PubPeer analyses, which show the basically exact similarity of the western blots between the two papers, KI disagreed and absolved Vakifahmetoglu-Norberg there. By such creative elimination, there was only one last paper by Vakifahmetoglu-Norberg for KI to investigate. The very problematic Imreh et al, J Cell Sci. 2011, for which the journal already issued a correction, and in June 2017, an Expression of Concern, regarding “Concerns have been raised regarding some of the data in Fig. 1A “. The PubPeer material plus the whistleblower evidence on my site were very serious, and then the journal found even more and informed KI. How to solve this? First of all, KI declared Vakifahmetoglu-Norberg as not responsible for her own first-author publication, and focused the inquiry largely on her PhD mentor Zhivotovsky, who is 69 years old and very close to retirement. It turned out that once again original data was missing. No worries: Vakifahmetoglu-Norberg and Zhivotovsky convinced KI that their confocal microscope software was doing funny things. Or in fact, it was doing the most normal thing, only that it looks that funny exclusively in a certain part of a certain figure of a certain paper of a certain scientist. The case is closed now. The Central Ethical Review Board (CEPN) will not be contacted to investigate, because both the interim rector Karin Dahlman-Wright and the new, official rector Ole Petter Ottersen, closed the Vakifahmetoglu-Norberg case without finding a shred of bad behaviour. The retiree Zhivotovsky was instructed to store data from now on for at least 10 years (as if he plans to work till he is 80 years old). His proper data storage is to be supervised by his department’s prefect Ulla Stenius, who is under investigation herself. Stenius had her paper Ghalali et al 2014 recently retracted by the no-nonsense Journal of Biological Chemistry, which in its own good tradition, didn’t bother to wait for KI’s instructions on how to interpret evidence of data manipulations properly, and just acted. “Getting out of the crisis with added strength is not about introducing new rules and regulations. It is about developing strategies and visions for the future KI, it is about ethical preparedness, it is about taking responsibility and complying with those rules and regulations that are already in place. Obviously this is fully possible without undermining the very foundation of any university: academic freedom. Excellent research must go hand in hand with an excellent work culture”. The embarrassing bit about this Vakifahmetoglu-Norberg investigation at KI is not the institute’s fascinating disregard for evidence and absence of original data, or their desire to believe even the most outlandish explanations from their scientists under investigation. Such things unfortunately happen all the time, in other universities and research institutions all over the world. But we never hear of them, except in those very rare cases where whistleblowers smuggle out some documents. Embarrassing for KI is the Swedish law of total transparency. The investigative report I was sent by KI’s Chefsjurist Helén Törnqvist, is something a German university would in most cases not even admit to its existence (see here an example). “I am afraid that as this is an ongoing case, we cannot comment on it. Please keep watching that particular paper on our website for any updates”. Let’s keep our eyes open then. Below is the Google-assisted translation of the KI investigative report (Swedish original here). Hyperlinks and image illustrations with legends are mine. Prefect is instructed to inform the research group of the applicable rules of preservation of research data. On October 7, 2016 Leonid informed Schneider by an article on forbetterscience.wordpress.com of errors in scientific articles. On October 9, 2016 Andreas Muller reported 10 scientific articles published on pubpeer.com. Author of articles include professor Boris Zhivotovsky and assistant professor Helin Vakifahmetoglu-Norberg. Nine of these articles have previously been investigated and the interim rector decided on June 20, 2017 to close the case and remove it from the register in the part (J. No. 2-3902 / 2016 Part 1). On March 27, 2017 the editor Sharon Ahmad of the Journal of Cell Science was informed of concerns about the article “Chromosomal breaks during mitotic catastrophe trigger yH2AX ATM-p53-mediated apoptosis”. This tenth article is now being investigated therefore here (No. 2-3902 / 2016, part 2). This article has been previously examined in another respect, about the similarities in its figures. The authors sent a correction of Figure 4, which was caused by a technical error and the journal has published a correction (Correction). Case closed by decision on 31 May 2016 (No. 2-1648 / 2016). 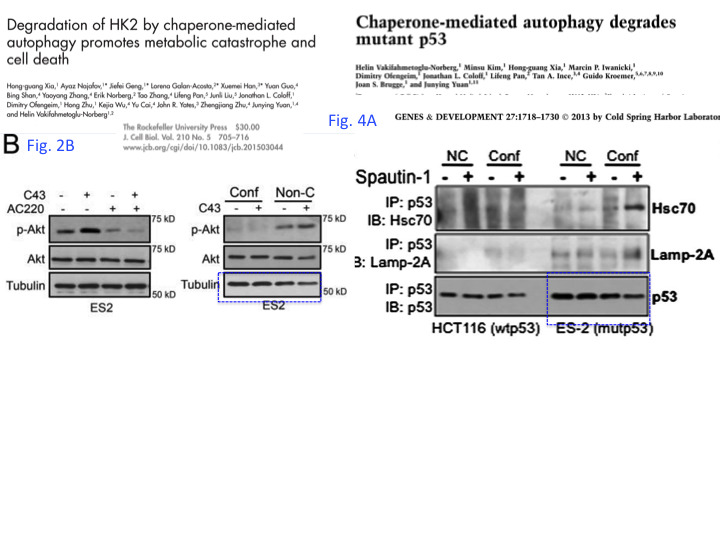 After PubPeer sleuths reported a western blot duplication in the Figure 4C of Imreh et al 2011 (P-ATM and G3DPH), a correction was issued in May 2016. Already before the correction, it looked from the gel band patterning like the panels for p53 and yH2AX were from a physically different gel that the duplicated panel. The figure however is supposed to show just one gel, with G3DPH being the necessary loading control without which the figure becomes worthless. The correction made it even worse. It looks like 3 separate gels and no correct loading control whatsoever: one for p53 and yH2AX, one for P-ATM and one for G3DPH. In the notification from October 7, 2016, new questions were raised about the nature of the various “black boxes” in the article figures criticized on Pubpeer. Similar questions have also been addressed by the journal to the Karolinska Institutet (KI). The lead author Boris Zhivotovsky answered journal’s questions and provided it with material. The journal believes they are still not able to resolve the outstanding issues regarding the Figures 1A, untreated p53, and 1D, siCaspase-2 for 72 hours. This chief editor stresses this in the letter from March 27, 2017. He also presented requests for KI’s assessment of the images 1A, sip53, 3C and 3D . The journal has published an “Expression of Concern“. During the investigation, visits were made in that laboratory, and the images of the article were reviewed together with, among others, Boris Zhivotovsky and Helin Vakifahmetoglu-Norberg. Image analysis, kindly performed by Jonas Wagner/29a.ch. It becomes evident what the issues in Figure 1, Imreh et al 2011 are, which the journal sees as currently not resolvable. First the image in panel A, sip53 24hr and 48hr seems duplicated (see my earlier article). Second, image p53 24hr and 48hr, panel A contains strange angular boxes around groups of cells. Third, in panel D, image siCaspase-2 72hr is completely black, and lacks even a single pixel of background, a highly unlikely situation with any antibody staining imaged under same conditions as other images from the dataset. In the present case concerning the figures, all the so-called “black boxes” can occur for various reasons. The number of cells can be so low that images of certain staining appear totally black (blank) while using another dye in the same image can show the individual cells. It can also be due to technical reasons. The images are stored in so-called LSM format (laser scanning microscope from Zeiss). These are complex images that themselves can show different images of the same sample, but with different staining. The different, in the same image embedded images, can be viewed by moving digital display handles in different directions. Such images in lsm format can also be saved in other formats. When you save such a complex image into a simpler format as PDF (Portable Document Format), the only one version of the LSM image is saved, the currently visible in the display window. Conversion to other formats can also result in reduced resolution and contrast, since LSM format allows high-resolution images, which is not always possible in other formats such as pdf. What emerged during the investigation shows that there are errors in the images, which without any uncertainty are due to technical reasons. KI therefore finds no reason to take further action with regard to these images rather than to notify the journal of this decision. Boris Zhivotovsky announced during communication with the journal that he was not expected to retain original data for more than five years old experiments. KI emphasizes that research data must be stored for ten years. The reason for this is that research results must be verifiable ten years after the project was completed and the research data must be kept secure, well structured and clearly marked during this time. To ascertain that the research team is aware of this, the Prefect was asked to ensure that such skills are present in research. This decision has been taken by the Rector Ole Petter Ottersen after a presentation by Dr Pierre Lafolie. In the final processing of the case, Professor Anders Ekbom and General Counsel Helén Törnqvist also participated. Figure 3A and D in Imreh et al 2011 were also found problematic by the journal. They do look strange. Were confocal microscope settings really same for all images showing same antibody staining? And again, there are some strange angular shapes around cells. So, you filed charges……. you demanded for investigation reports to be sent to you…….you analyze and read the report the way your ability allows you to…….. Then you write post over and over again about the same thing, Same person….. Just to have something to write about, Talking about creating your own news. Your posts aren’t even consistent in between, In one post, this person is not responsible for the alleged claims, in this one, everything is one person’s responsibility. Media bias/fact check: Sources in the Conspiracy-Pseudoscience category may publish unverifiable information that is not always supported by evidence. These sources may be untrustworthy for credible/verifiable information, therefore fact checking and further investigation is recommended on a per article basis when obtaining information from these sources. Left bias: These media sources are moderately to strongly biased toward liberal causes through story selection and/or political affiliation. They may utilize strong loaded words (wording that attempts to influence an audience by using appeal to emotion or stereotypes), publish misleading reports and omit reporting of information that may damage liberal causes. Some sources in this category may be untrustworthy. You are very wrong, Muller. Your colleagues already established that I am actually an antisemite, hence if anything, I am alt-right Conspiracy-Pseudoscience. Which is presumably why you keep reading my site? 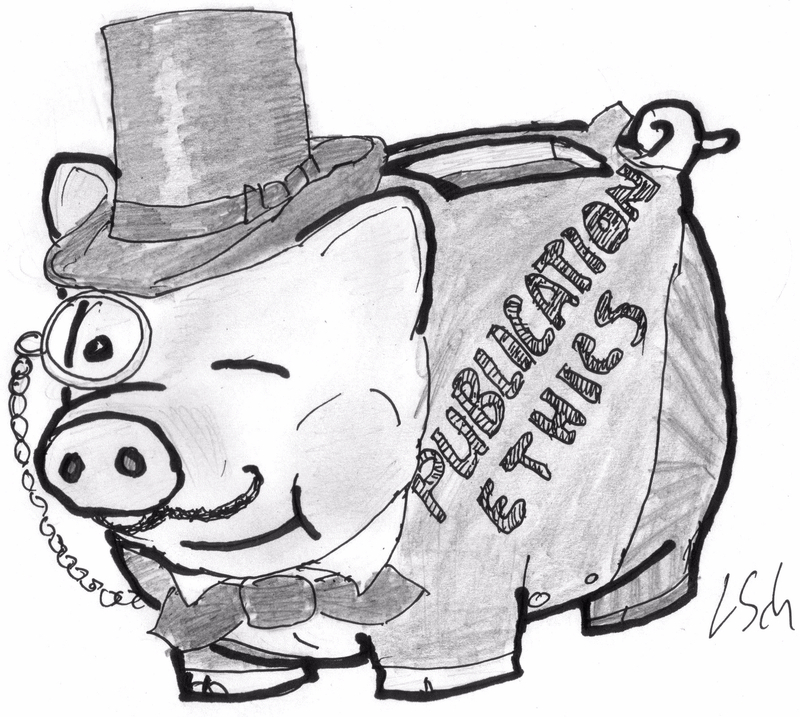 Several of the papers are problematic and need to be corrected, or retracted. Until something is done about them people will “post over and over again about the same thing”. I feel sorry for the new principal of Karolinska, Ole Petter Ottersen. He used to be a scientist. How can he let this pass? What kind of message is he sending to master and PhD students? The many cases posted at Pubpeer are quite clear, and not having raw data is a very bad excuse. I can just say that if the researchers saved their LSM files as .pdf files they probably should be dismissed immediately, my brain hurt reading that report lols. Apparently it pays off at the Karolinska to publish papers containing manipulated and reused images. Karolinska just prolonged the position of Helin Norberg with the motivation that she has shown particularly excellent scientific merit and future potential.